By and large, most people in the US are quite fortunate to have access to a wide variety of foods from all over the world no matter what the season. Although this is a cultural norm, have you ever stopped to think about where your food is coming from and how your choices impact the environment and your local farmers? This long-distance, large-scale transportation of food consumes large quantities of fossil fuels. It is estimated that we currently put almost 10 kcal of fossil fuel energy into our food system for every 1 kcal of energy we get as food. Simply put, that is not an efficient energy exchange. Transporting food over long distances also generates great quantities of carbon dioxide emissions. Some forms of transport are more polluting than others. Airfreight generates 50 times more CO2 than shipping by boat. Since boats are slow, and in our increasing demand for fresh food, food is increasingly being shipped by faster, more polluting means. 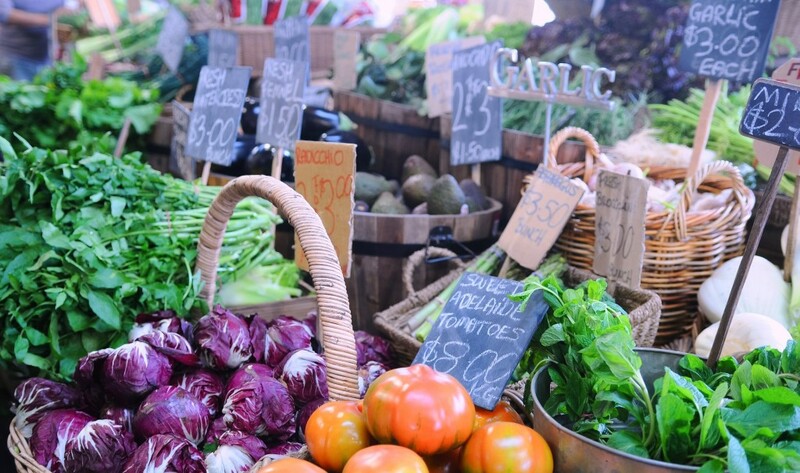 In an effort to decrease the amount of energy used in food transportation, many Americans have been transitioning to support their local food systems by increasing their spending at local farmers’ markets. We can eat locally and seasonally with very little sacrifice. Still, some crops simply aren’t appropriate for our climate but we can begin to look at imported foods as things that supplement our local foods, rather than supplant them. Rebuilding a local food system doesn’t mean you never eat anything that has flown overseas, it just means that you start with what is fresh, local and seasonal. Shopping at the farmers’ market, maintaining a home garden, or participating in a community-supported agriculture program (CSA) are wonderful ways to support your local food system. At the same time, we help build food security for future generations; feed ourselves and our families food that is delicious, fresh, and nutritious; and support small-scale local farmers as they work each day to steward our land. Posted on October 19, 2016 January 25, 2018 Author Shaun QuinlanCategories Helpful Resources, Shared Expertise, Special InterestTags benefits of local, BSTI, buy local, community-supported agriculture program, CSA, Eat Local, farm, farm to plate, farm to table, farmers market, food, Food Market, food security, Food transportation, food variety, local, Local farm, local produce, National Food Day, seasonal, seasonal food, seasonal foods, Shaun Quinlan, shop local, support local, sustainableLeave a comment on Where Does Your Food Come From? The decline of honeybees has been in the headlines for several years, and theories to explain their deaths abound. The term “Colony Collapse Disorder” was created in an attempt to define the mysterious phenomenon, but perhaps there is not just one single cause. The widespread loss of bee colonies around the world is troubling. 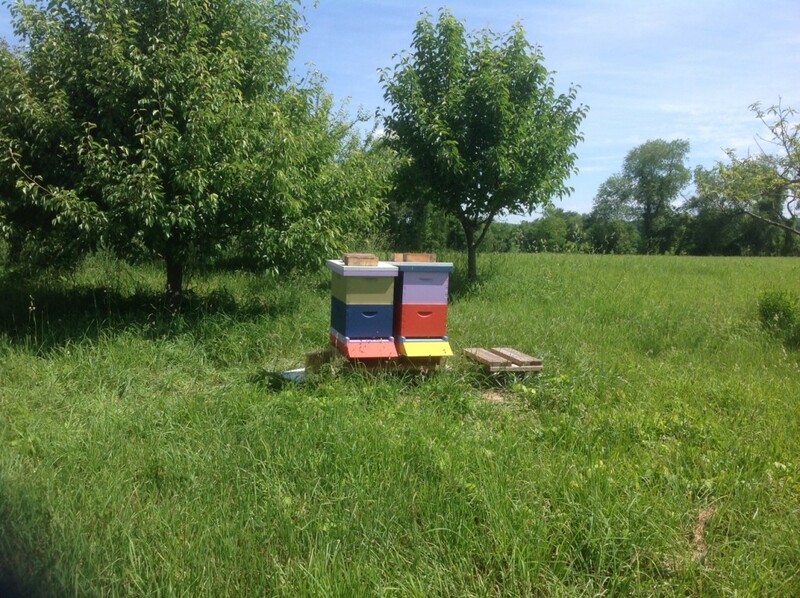 Many people in the environmental community are wondering if honeybees are the modern day canary in the coalmine. Are they exhibiting symptoms caused by agricultural and environmental toxins that we should be paying more attention to as humans? The prevailing opinion from a variety of experts suggest that the massive die off of bees is a combination of four factors: pesticides, disease, parasites, and human mismanagement. Honeybees might be weakened by having a very low level of exposure to insecticides or fungicides, making them more susceptible if they are attacked by viruses or parasites. One specific class of pesticide, neonicotinoids, has received a lot of attention for harming bees. They are particularly problematic because these insecticides circulate in plant tissues and show up in flower nectar and pollen. 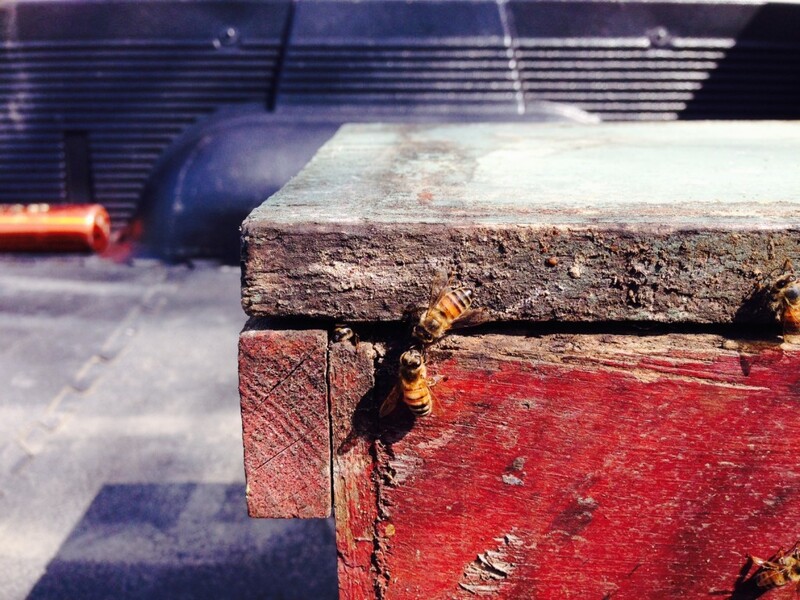 The bees collect and concentrate the pollen and nectar and take them back to the hive and feed to their young. What initially seemed to be a very environmentally-friendly group of insecticides is turning out to be a risk for bees. In addition to pesticides and diseases, using bees to pollinate monocultures could be a contributing factor in their decline. Honeybees are the most widely used pollinators of monoculture crops in the world (almonds, cherries, apples, avocados, etc.) and the commercial agriculture industry would not be able to succeed without them. Sadly, the benefits appear to be one sided as multiple studies have discovered significant detrimental effects of monocultures on the health of bees. When bees are limited to only one type of pollen as a food source, it can lead to certain nutrient deficiencies. Just as humans need a varied diet, so do bees. Bees fed pollen from a range of plants had a healthier immune system than those dependent on a monoculture diet and were better able to protect themselves and their larvae from pathogens. 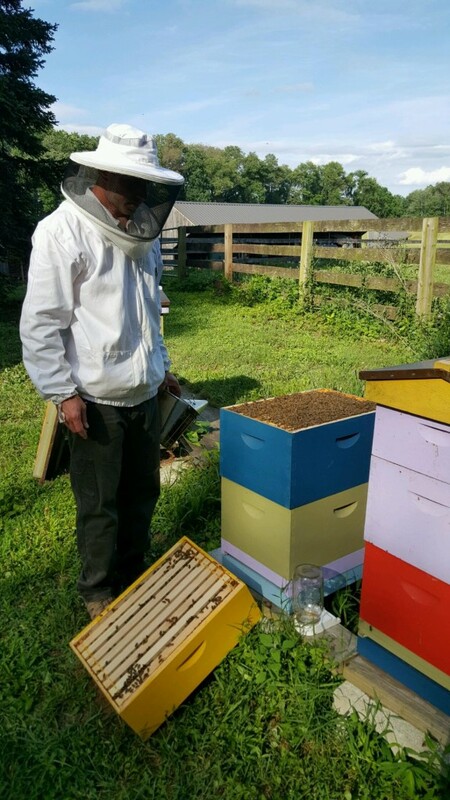 Moving bees around the country a couple of times per year, as many commercial beekeepers do, may be yet another contributing factor to the decline of bees due to losing some adult foragers. Bees begin their adult lives as nurse bees, become guard bees and then spend the last few weeks of their lives as foragers. Adult foragers learn where their home is based on solar and landscape cues. When the colony is moved, the adult foragers may leave the colony to gather honey and be unable to find their way home. The loss of a certain number of bees would not normally be fatal to the colony but could severely impact a weakened colony. All four of these factors are combining in unexpected ways that affect not only the bees but humans as well. It is fair to say that many people think about honeybees as solely producing honey. Honey is a wonderful food but it’s a byproduct of pollination. Bees visit flowers because they need to eat. They derive all of the protein they need in their diet from floral pollen and all of the carbohydrates they need from floral nectar which the bee converts to honey. As they fly from flower to flower, collecting pollen in the “pollen baskets” on their legs to take home as food, they end up transferring pollen from one blossom to another of the same floral species, and pollination just happens. Without honeybees and other pollinators to take pollen from one flower and fertilizing the seed, the plant has no inclination to produce a fruit. Honeybees and wild bees are the most important pollinators of many of the fruits and vegetables we eat. Of 100 crop species that provide 90% of our global food supply, 71 are bee-pollinated. The value of pollination of food crops by bees in the U.S. alone is estimated at $16 billion. The big picture view suggests that a significant decrease in the bee population could lead to a decreased supply and potentially higher prices of fruit and vegetables. Without honeybees, about a third of the food you and I eat every day would disappear. Therefore, the production of honey and bee products pales in comparison to the integral role that bees play in the global food supply. Posted on April 11, 2016 January 25, 2018 Author Shaun QuinlanCategories Shared Expertise, Special InterestTags bees, BSTI, decline, extinction, food, health, pesticides, Shaun QuinlanLeave a comment on What Are the Bees Telling Us?